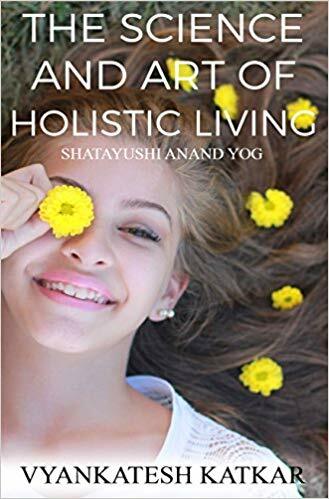 The Science and Art of Holistic Living is a comprehensive life improvement book for long disease free, stress free living. 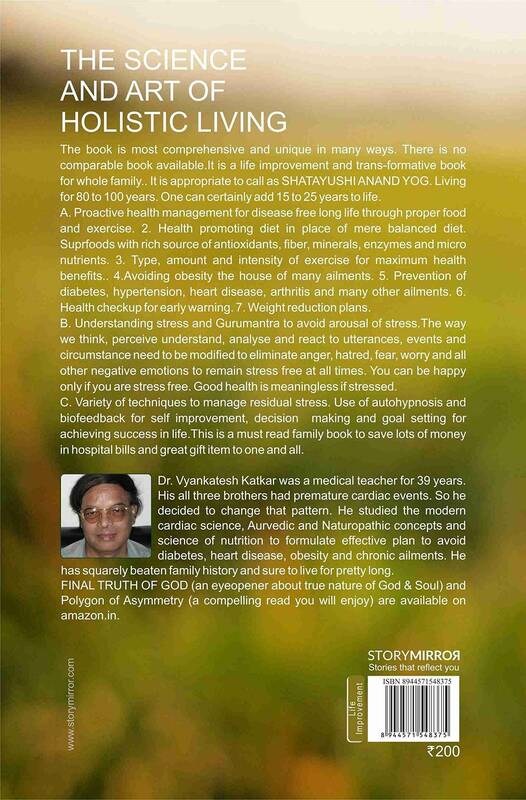 It is very appropriate to label as, ‘ShatayushiAnandYog.” Living life as per this book gives, ASSURED IMMENSE BENEFITS. It is a PROGRAMME FOR POSITIVE AND HOLISTIC CHANGE IN LIFE. Science and Art for Holistic Living is a unique and comprehensive life improvement program with immense practical value. It elaborates on all aspects of good living. It is holistic in approach and its contents. There is no other program as inclusive as this. 1. Science of proactive health management for prevention of diabetes, hypertension, heart attack, obesity and other life style diseases so as to lead disease free long life. 2. Elucidation of concept of positive health promoting diet instead of balanced diet and many dozens of health promoting tips. 3. The art of stress elimination at source instead of merely stress management. It is possible to eliminate arousal of stress at source through positive thinking and positive attitude. It is possible to eliminate anger, hatred, jealousy, worry and fear for happy stress free living. 4. Management of residual stress through yoga and autohypnosis and many other tools. As a whole this program encompasses all the aspects of perfect holistic living. c) the way they eat and live and d) the we handle residual stress if any for happy, disease free long- long life. " This book is a must read for every living person to save loads of money of hospital bills.